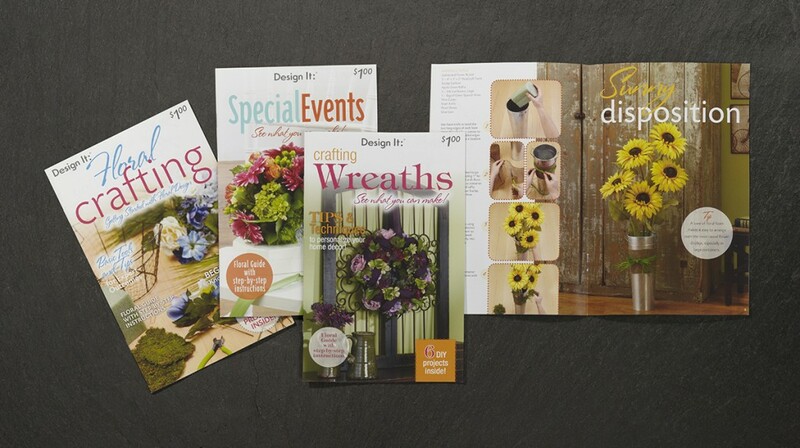 Gilson and FloraCraft worked together to develop a series of instructional craft booklets designed to generate project ideas and promote the latest FloraCraft products. Sold in big-name national retail stores, the booklets blend existing images and new photography of the featured projects. Gilson was on location for each photo shoot, art directing the shots needed for each project layout. The Gilson team also created templates for each booklet to accelerate the production process and get the finished product to market in record time!